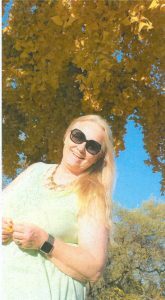 Wendy L. Long “Nana”, 65, of Dell Rapids, SD joined her mom and dad on her forever beach Thursday, April 19th, 2018. She was surrounded by the thoughts and love of her family, who made sure she had her toes in the sand. Wendy lived her life loving and supporting others, from attending her children and then grandchildren and even great-grandchildren’s activities to rescuing orphaned turtles from the side of the road. She was always ready for a road trip. Spur of the moment or a well planned family vacation, Wendy loved to travel. If you happened to be nearby at the time of departure – no reservations necessary. Outside of family and friends, happiness to Wendy was: the color orange, the taste of coffee, flip flops on her feet, and California sunshine on a new tattoo. She enjoyed 25 years as a nurse helping and caring for the elderly. In her life, she felt the loveof 5 children, 13 grandchildren, 4 great grandchildren and many other family and friends.